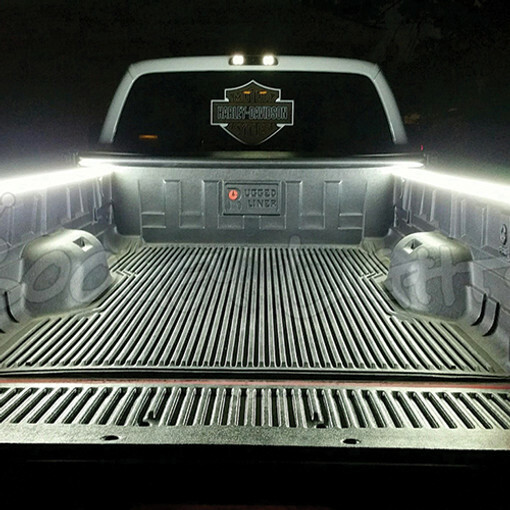 Make your pickup truck stand out with Boogey Lights LED® light kits. 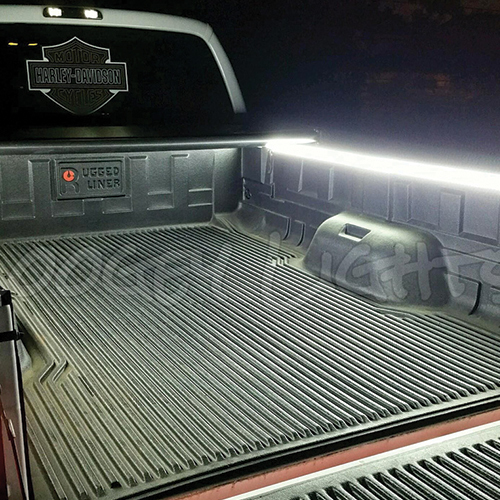 Whether you want to light up your pickup truck bed, the grill, the wheel wells, underneath or have something custom in mind, Boogey Lights® pickup truck LED light kits are the best and brightest. 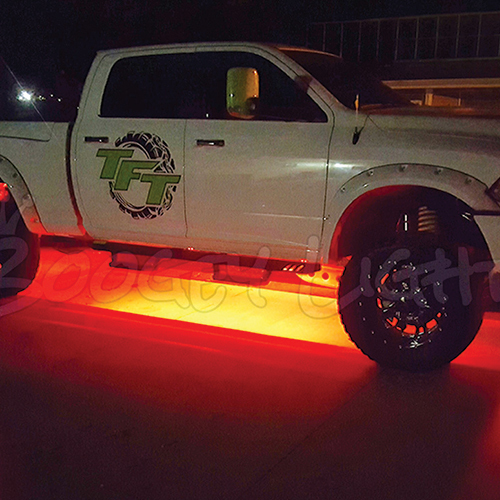 Made specifically for outdoor use on motorsports applications Boogey Lights® pickup truck LED light kits are engineered to last. Single color, multi-color, wired, wireless or bluetooth, we offer a more options to light your ride. Perhaps best of all Boogey Lights® are designed, assembled and supported in the USA! Did you know that Boogey Lights® is one of the few manufacturers that offers LED controller technology capable of powering more than 1500, hi-intensity 5050 LEDs on a single controller? It's true! Wired, wireless, multi-color, single-color, Boogey Lights® line of LED remote controls and pickup truck LED light kits have been engineered to operate in harsh environments. Perhaps best of all, Boogey Lights® lighting products are designed, assembled and supported in the USA.